Growth charts are wonderful tools to assess how your child is growing compared to his or her peers of the same age. Many factors can play a role in a child’s growth including nutrition, illnesses and plain-old genetics. At every well-child check, there should be a review of your child’s growth. In the infancy period through the first 2 years, we primarily look at head circumference, weight and length. After age 2, we primarily look at height, weight and body mass index (BMI). These measurements (the dots) get put on a graph (the growth chart) and over time map out how a child is growing. So, what are those lines on the chart? Well, they represent the percentiles. Each measurement taken will correspond to a specific percentile. It is very important to know that these percentiles are not like the ones that represent grades in school. For example, if your child measures at the 15th percentile, this does not mean they’re doing worse, or better, than a child who measures at the 85th percentile. As pediatricians, we look at the trend at which your child is growing to determine if there is a need to be concerned. When reading the growth chart, we don’t focus too much on the percentile number itself. Parents will often ask “what percentile is my child at?” They may be at the 11th percentile; which may be fantastic for where they have been, or it could be concerning. Another way to look at percentiles on the growth curve are to look at them as if they were “train tracks.” A child should be tracking along and following the general pattern of the tracks; therefore when the train is derailing and crossing multiple tracks, that may be a red flag and should be discussed with your pediatrician. Since we follow the trend over a period of time, we don’t focus on one single measurement, or data point, but instead the entire collection. If a child is measuring between the 30th and 40th percentiles at each visit, that is a good trend for the child and would typically mean he or she is growing well. But remember these are projections. Sometimes it definitely is about letting nature take its course; for those families who jump in and have concerns about growth, I think the easy answer is directing them to their primary care physician to review the growth chart so they can determine together whether or not a specialist needs to be involved or not. So if you’re wondering how your child is growing, make sure you review their growth chart with the pediatrician at the next well check. It should definitely be a “trending topic” (see what I did there?). * Growth Chart from CDC. So What IS Normal Anyways? My Child Is Short ... Is That OK? 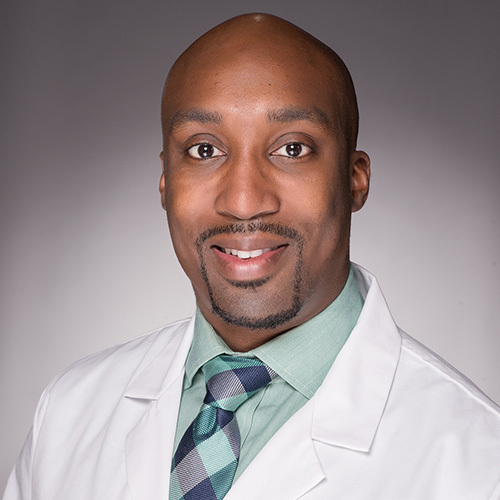 Get to know Ramon Kinloch, M.D. Dr. Kinloch is a Cook Children's pediatrician at Cook Children's Pediatrics Fort Worth - Forest Park. My desire to practice medicine really stemmed from my interest in the sciences. I actually thought about a career as an astronaut at first, but decided that wasn't for me after watching the movie 'Armageddon'. As I got older, I enjoyed spending time in the church nursery and developed a passion for teaching/mentoring children and adolescents. Becoming a pediatrician allowed me to integrate what I love doing and have fun serving others. Outside of practicing medicine, I enjoy traveling, especially internationally to experience and learn about the different cultures of our world. I love music and dancing. I enjoy watching and playing sports (I'm a big Michigan Wolverines and Dallas Cowboys fan!). Last but not least, I enjoy checking out new restaurants. I am thankful and blessed to be married to the love of my life, Andrea. We have a mixed breed puppy, Ramsey, who is like our little "Sour Patch Kid". I love being a pediatrician because it is one of the few careers where you can let your inner kid be free!